Rudraprayag in Uttaranchal is considered to be the abode of Gods. A paradise tucked away In the Garhwal region of Himalayas, Rudraprayag is the place where Alakananada meets River Mandakini. One of the important Prayags of India Rudraprayag for years has been an important pilgrimage destination and tourists drop here on their way to Kedarnath and Badrinath Tours. Nestled amidst the beautiful snow clad peaks and fierce rivers, Rudraprayag, for ages has been the home of mystics and sages who have led the life of austerity and lived in the caves of this Himalayan city. The Puranas say that it was at this place Narad worshipped Shiva and Rudraprayag owes its name to Lord Shiva. Considered to be the abode of Gods, Rudraprayag is not just about sages and temples but it also allures trekkers and nature lovers for its immense beauty and serenity. 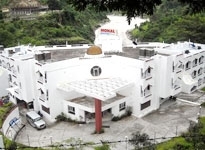 The Hotels in Rudraprayag offers you the best of facilities and interesting packages so that you can enjoy and relax in this beautiful Himalayan city of Rudraprayag. 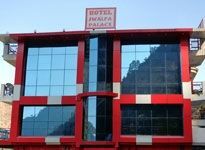 So enjoy your vacation in the lush green valleys of Rudraprayag and rejuvenate your senses before you are coming back to the sun scorched plains and fast paced city life.